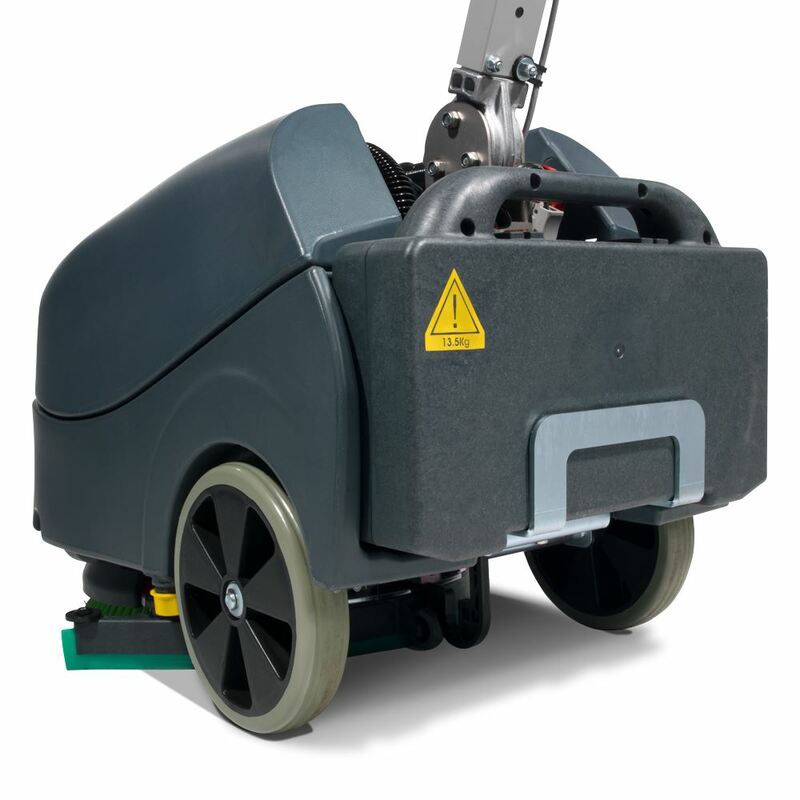 The TwinTec TTB1840 machine has been designed to address the question of size being exceptionally compact, yet with performance equal to bigger. 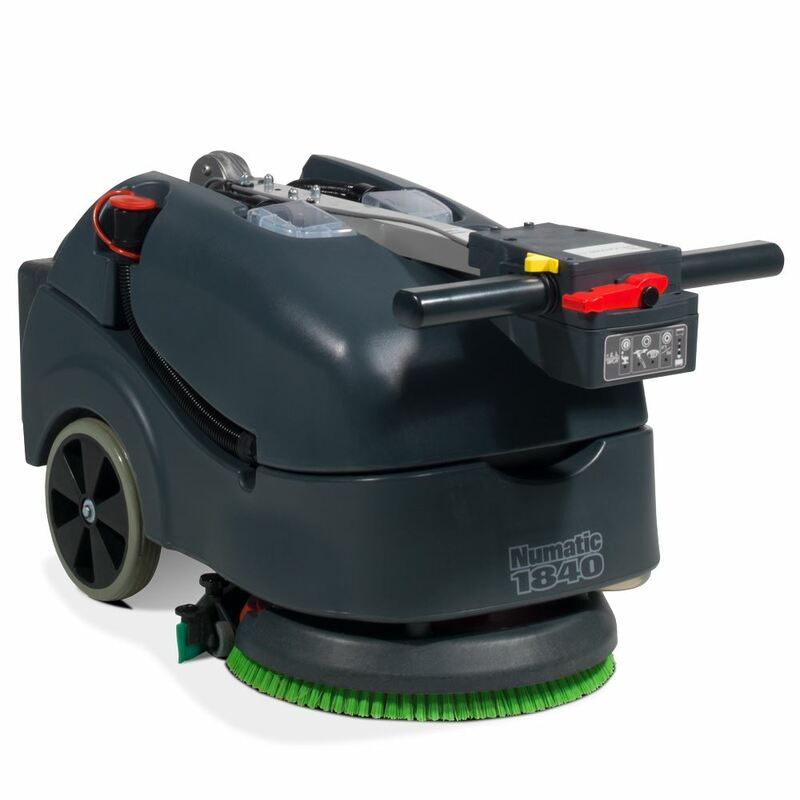 The compact design really does allow this machine to clean in areas normally cleaned by hand, yet 30% to 40% faster and better. • Battery Pack – Quick change 24V gel battery pack. • Cable Free – Total freedom of 24V battery operation. • Fully Adjustable Handle – Flat to upright for perfect position. • Parabolic Squeegee – Rotating parabolic squeegee system. 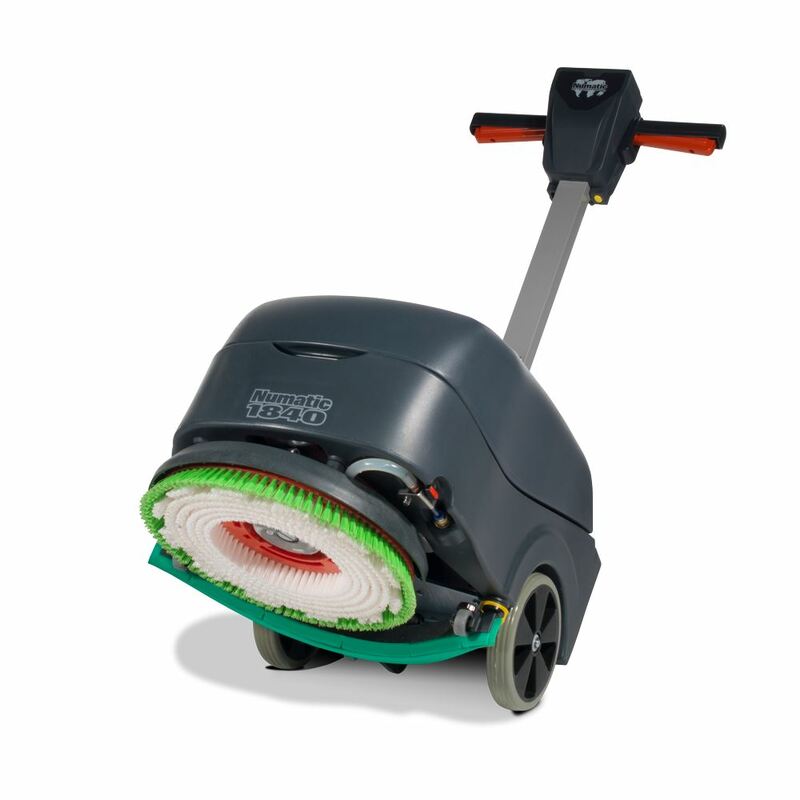 • Quick Change – Fast, single handed brush or pad changing. 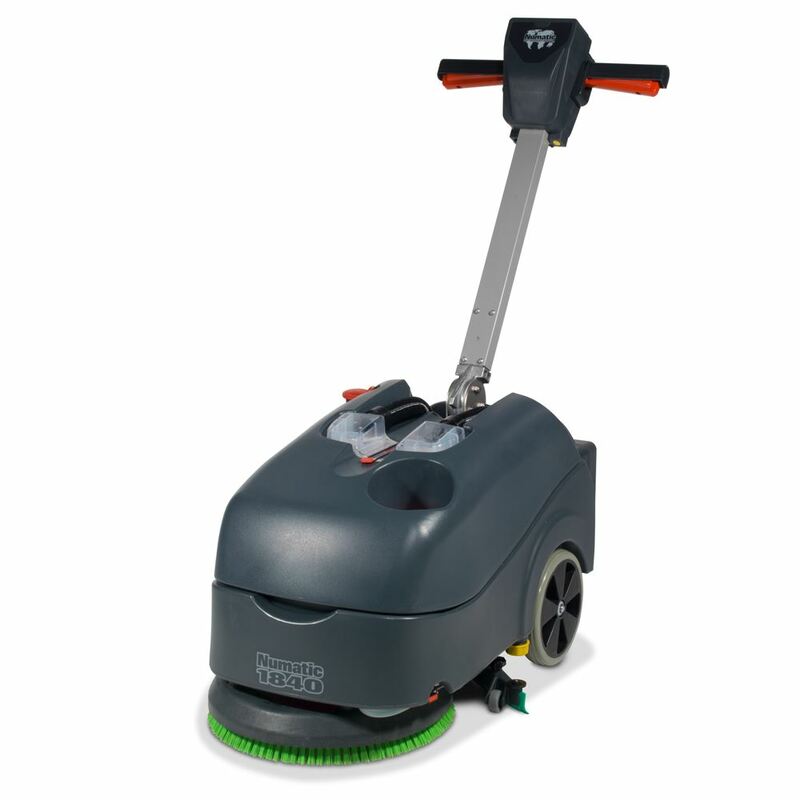 • Hi / Lo Mode – For quieter cleaning when needed.